Every person earning money plans his or her future based on the amount they earn.But in reality, it depends on how much you could save rather than on how much you earn. Savings take maybe of two types. Investment in terms of financial context means any money spent today in the hope of financial benefits (called “Returns” in financial context) in future. Investments could be Short term or Long term based on the requirements of each person. Return is of various types, which depends on the type of market invested or in type of security invested. Savings and Investments of people affect the nation’s Growth, Financial position. The markets to be invested in and many more. Investors commonly perform investment analysis by using fundamental analysis, technical analysis. Portfolio Theory is one of the tools that are commonly applied to help the investor achieve a satisfactory return in relation to the risk taken. A person investing money in a fund or a market is called Investor.Investors are mainly categorised into two types as Individual Investors or Institutional Investors based on the constitution of the number of persons investing. 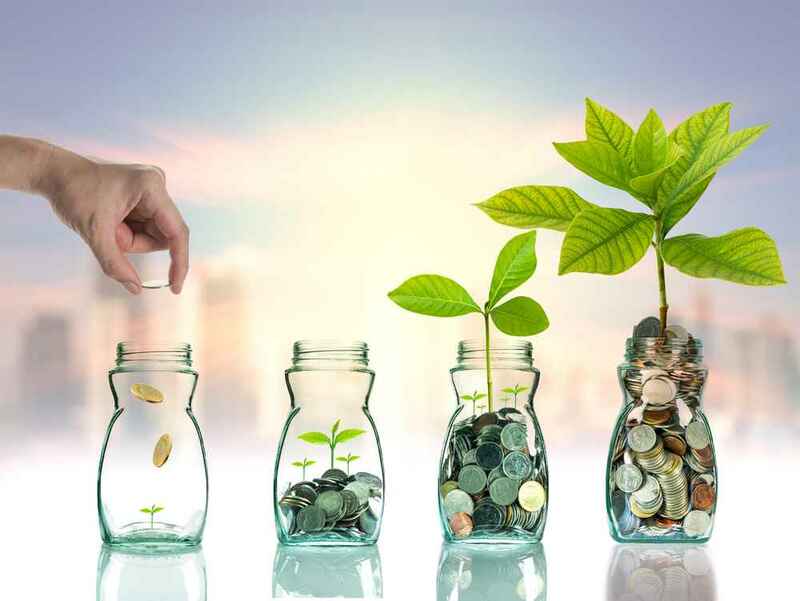 Individual Investors or Retail Investors are small scale investors like Share holders, Angel investors who are capable of making investments in small amounts unlike the Institutional Investors. Institutional Investors include large scale players like Qualified Institutional Buyers, Venture Capitalists. These institutional investors are generally the investors who are capable of making huge investments into the business entity. An 'Angel Investor' is also known as Private investor or Seed Investor, who usually provides investments to start-ups in exchange of consideration in form of Equity (Ownership rights) or Convertible debt (Securities that give ownership rights when converted on a future date). Angel Investors invest the funds in startups considering not only the monetary return, but also the developments in business field of start up, experience and foreseeable growth of the entity they invest in. In addition to funds, angel investors with their knowledge and expertise, provide valuable management advice and support, sources of doing business and act as promoters as Angel Investors are often Entrepreneurs, Retired Executives, who could assess the start-ups and its growth. Angel groups are generally small organizations made up of about 10 to 150 accredited investors. 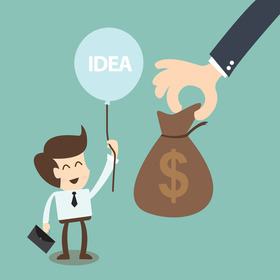 Start-ups that require investment may also be referred to other angel investor group by one investor group for funding. This inter linked groups is called Network of Angel groups. Since angel groups are a group of individual investors, the funds they invest are their own funds and not funds pooled like Venture capitalists.Though the investment decision is by the Individuals, the actual funders would be a trust, business, Limited liability partnerships, investment funds or any other body. As the startups are funded and are under the continuous supervision of the Angel Investors, they tend to have a high success rate compared to other startups as the individuals in the Angel groups are experienced investors. The same had been proved in a Harvard report given by William R. Kerr, Josh Lerner, and Antoinette Schoar. The paper by Kerr et al., found "that angel funding is positively correlated with higher survival, additional fundraising outside the angel group, and faster growth measured through growth in web site traffic". As many of the startups may not have much funding, Angel groups are the best choice for them to raise funds and which would also reap other benefits through the experience of the investors which leads to success. The main fields or industries that choose Angel investment as main source of funding include Medical / Health care industry, Automotive and Engineering industry. 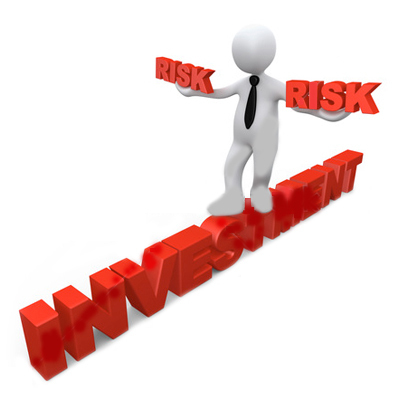 Angel Investments and Angel investors bear huge amount of risk and would require huge returns. Potential Angel investors invest in the entities that have potential of giving a return at least 10 to 20 times the investment they make. Generally, the angels need to meet the criteria as per the said local laws. For ex: in US, Securities Exchange Commission's (SEC) definition of accredited investors. They each need to have a net worth of at least $1 million and make $200,000 a year (or $300,000 a year jointly with a spouse). In India, SEBI’s high standards for individual angels are to have a minimum net worth of ₹2 crore, prior experience in early-stage investments or serial entrepreneurship, or a ten-year stint in industry. A few years back, angel investing was more about HNIs (high net-worth individuals) investing in startups but, in the past few years, more and more entrepreneurs have boarded the angel investing bandwagon. Finally, though angel groups are proliferating and require majority stake or return to be offered, they offer plenty of mentoring and coaching on top of the money provided that is very essential for the success of the entity and to survive in the market.